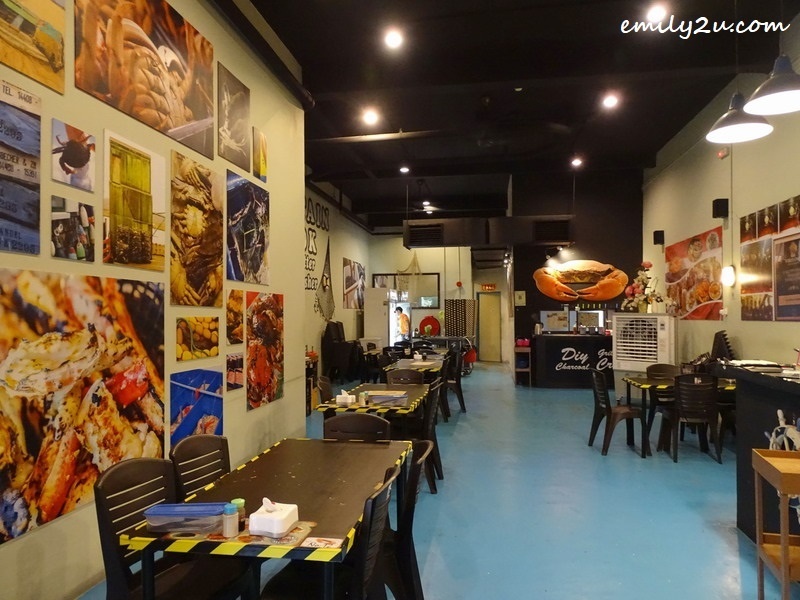 Since my first Jim Jom (Dip & Dunk) experience at Soi 19 in Kuchai Business Centre, Kuala Lumpur, I have been yearning for it. Somehow, I just couldn’t find the time to drop by the city again for a good dinner! It was also strange that I did not come across Jim Jom when I was in Hat Yai in March this year. 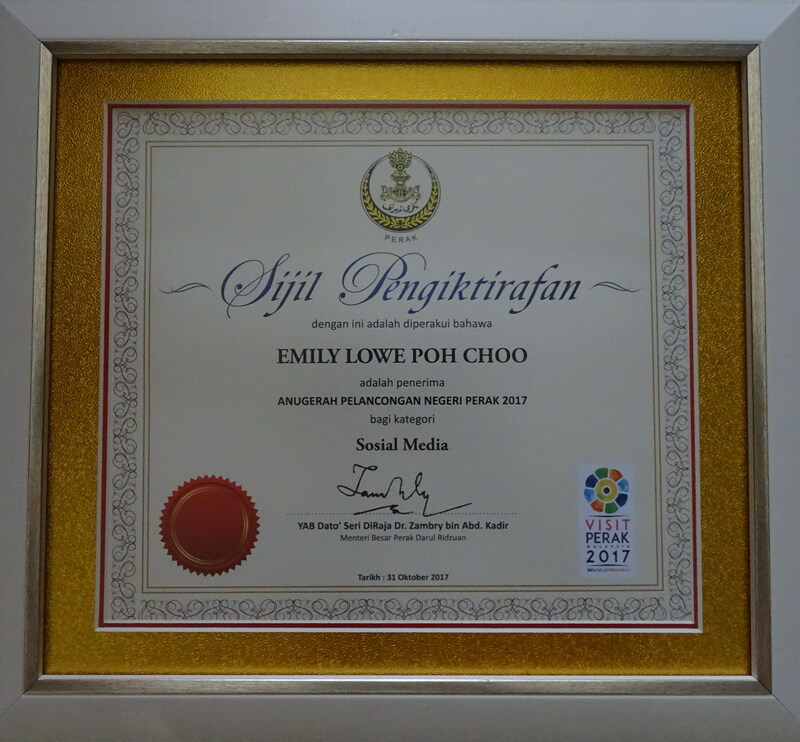 Later, I was informed that Jim Jom is available in Ipoh (finally!) and it is served at Soi 19@Crabtain Hook, located at Symphony Business Park in Ipoh itself. 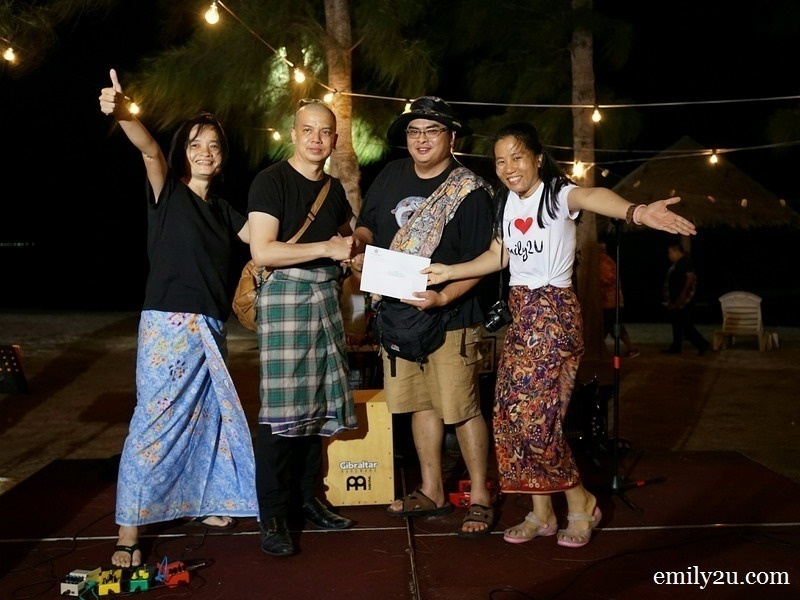 Hah… Crabtain Hook Restaurant, which opened in January 2017, has collaborated with Soi 19, winner of World Top Gourmet Awards 2017, to offer authentic Thai cuisine. 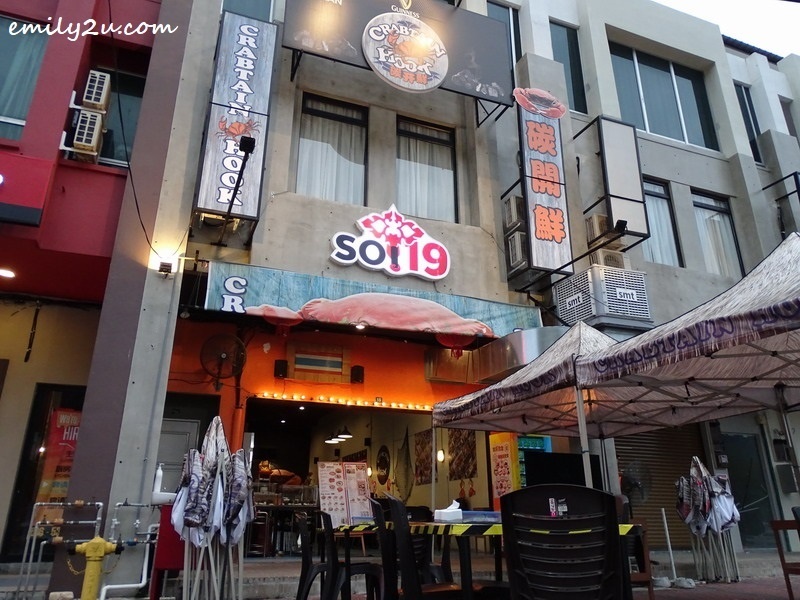 Hence, the restaurant is renamed as Soi 19@Crabtain Hook. Still, with this information, it took me months to arrange for a meal at Soi 19@Crabtain Hook. I am happy to share that it eventually happened this week and my craving for Jim Jom is satisfied, for now. Let’s have a look at what was for dinner. 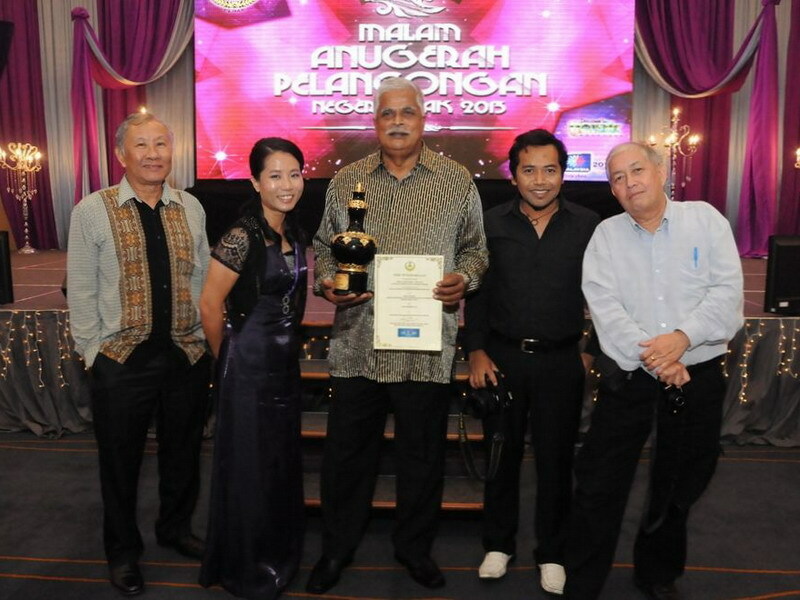 Of course, we should begin with Jim Jom. 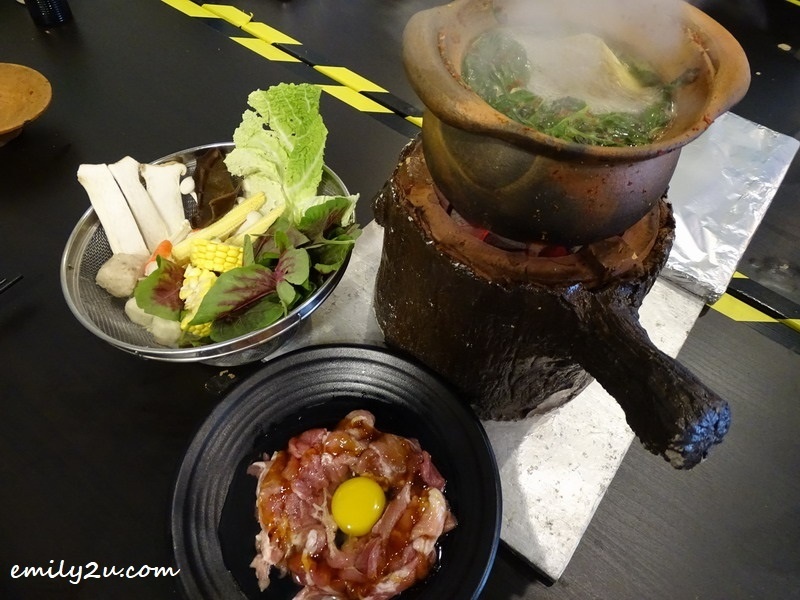 Known as Dip & Dunk concept, we had the Pork Set to go along with this Thai-style hot pot. 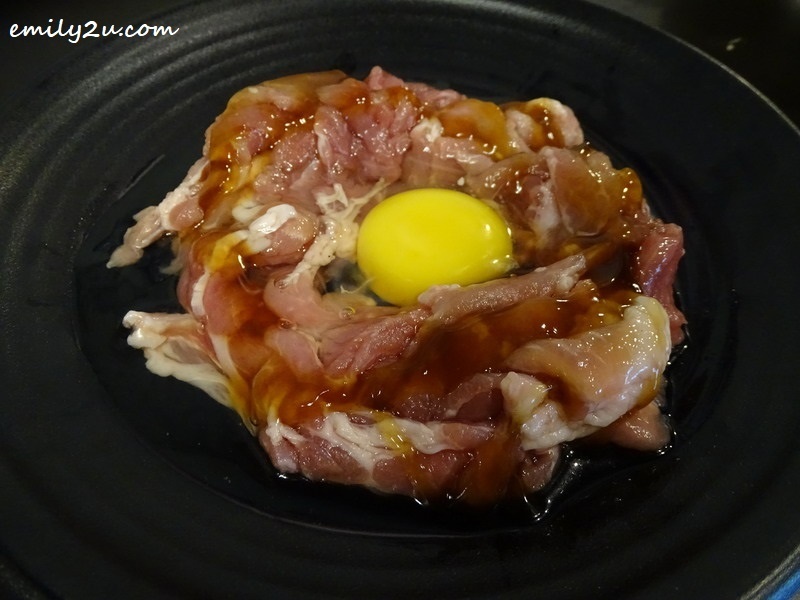 The Pork Set came with a platter of pork slices topped with a raw egg, and a basket of fresh mixed vegetables. 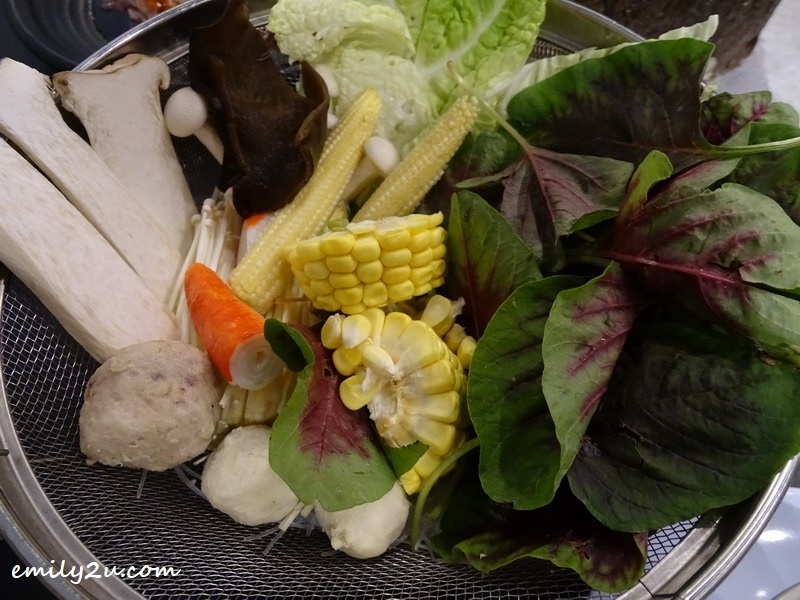 Just for your information, it is free flow of vegetables every Tuesday. 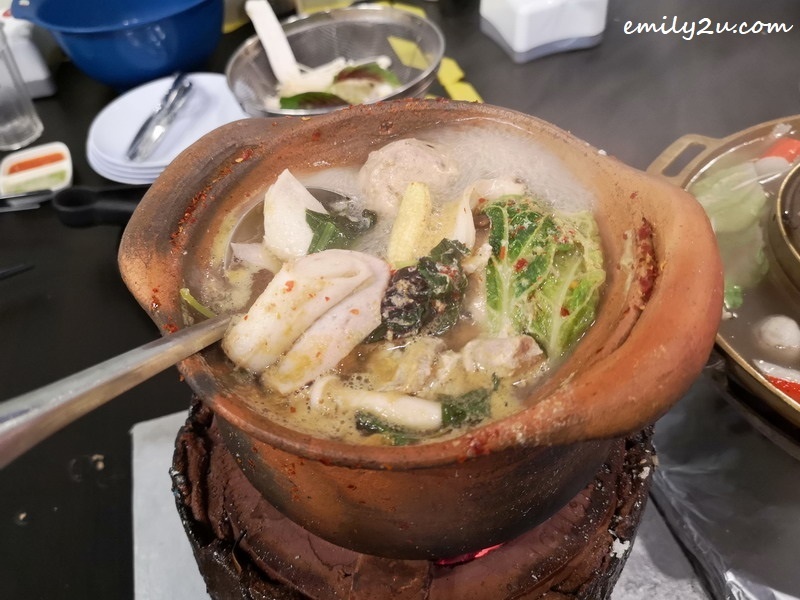 Well, to start off dinner, a bowl of the clear herbal broth (boiled with lengkuas and lemongrass) is scooped out from the hot pot to make way for dunking of half the ingredients. 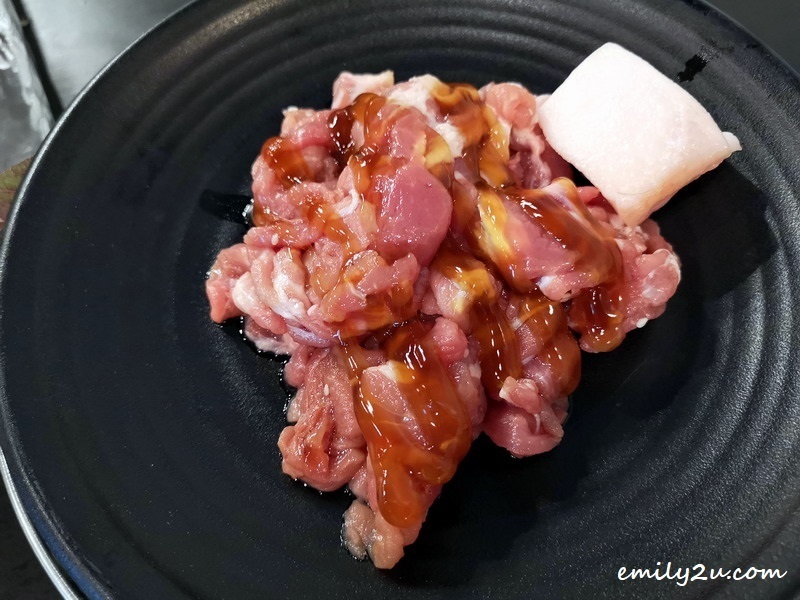 It takes just minutes for the meat and vegetables to be cooked. It’s free refill of soup, but if you want to get a ‘kick’ out of your Jim Jom, add beer. 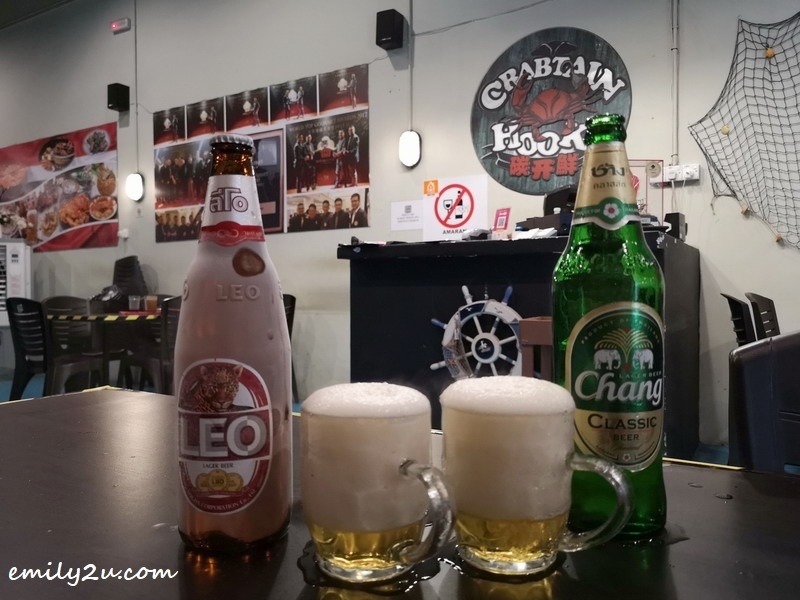 The choices are Thai beers; Singha, Leo, and Chang. With beer acting as a sweetener, the brew comes off with a stronger flavour. 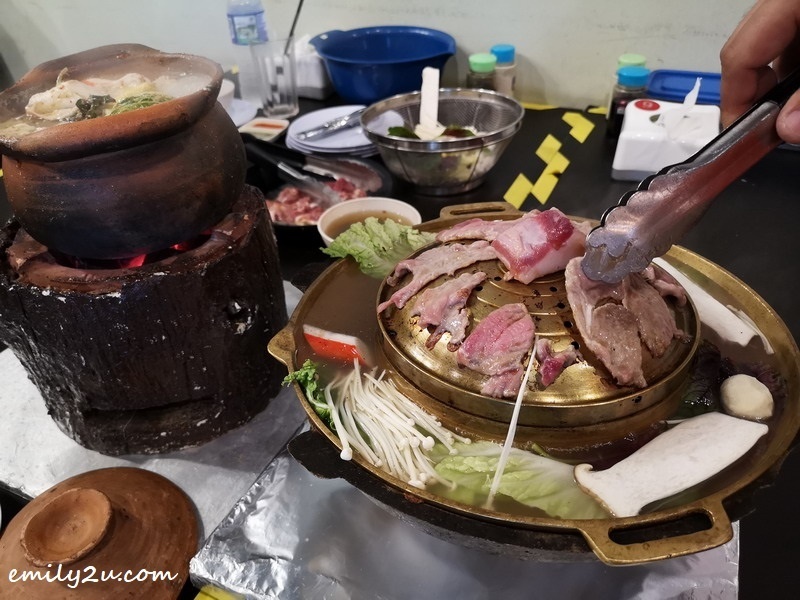 Besides Jim Jom, we also had Moo Kata, or self-grilling BBQ. We ordered the Pork Set. In addition to pork, the restaurant offers Pork + Chicken Set, Pork + Lamb Set, Seafood Set and Combo Set of pork, chicken, lamb and seafood. All sets come with a basket of fresh mixed vegetables as well, also free flow on Tuesdays. This platter of finger food really gets the appetitie going. 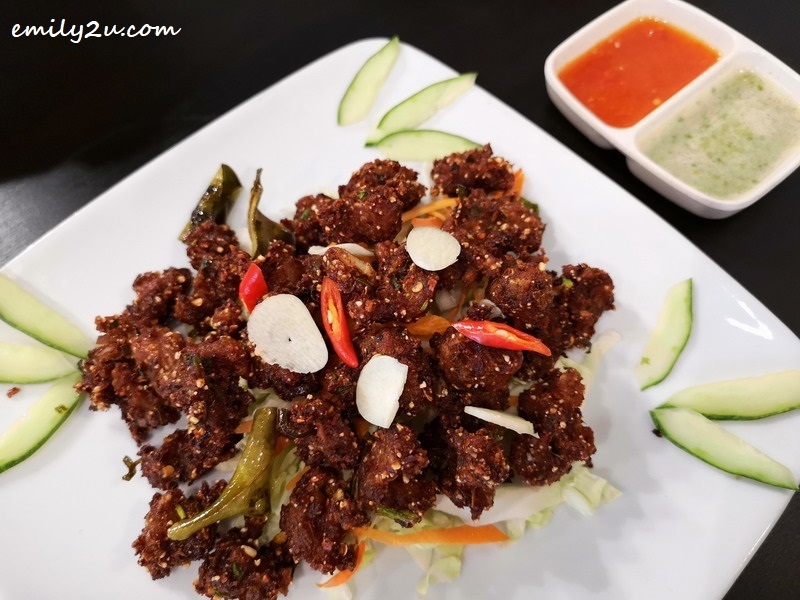 Crunchy and spicy, once you take a bite, it is really difficult to stop!! It’s so tasty, you can have it on its own, just like chips. This plate of traditional fried Thai noodles is an equivalent to the local char kway teow. 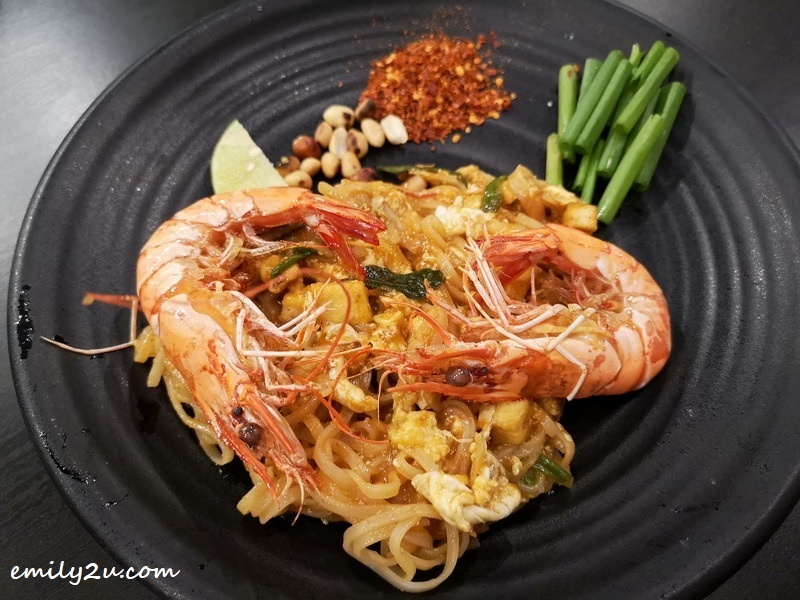 Generously topped with a pair of large prawns, the noodles are a little spicy and not oily, unlike char kway teow. When in Soi 19@Crabtain Hook, do order crabs! The restaurant is famous for its fresh crabs, if you didn’t know yet. These Indonesian Meat Crabs are meaty and worth its weight. 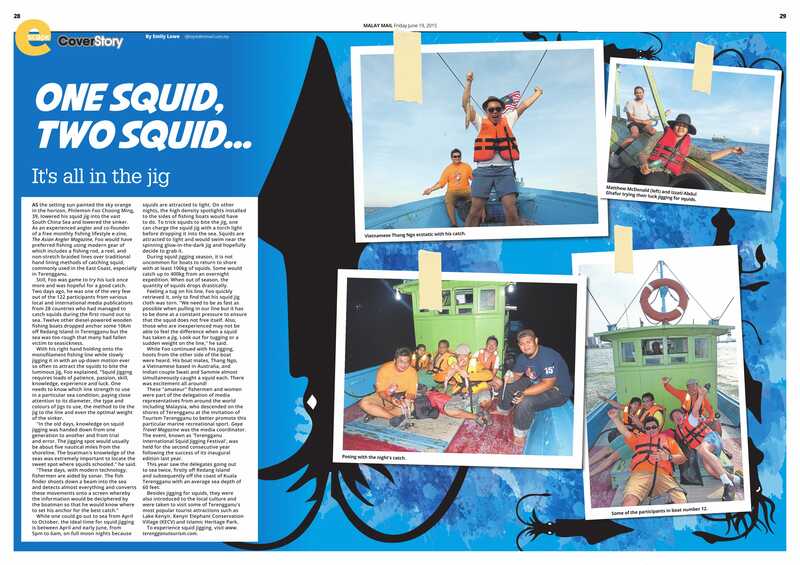 Current crab price is RM118 per kg, with each serving at 400g – 500g. There are 7 methods to prepare these crabs; Charcoal-Grilled Marmite is just one preparation. Each flavour comes with an additional price, besides the price of crab. 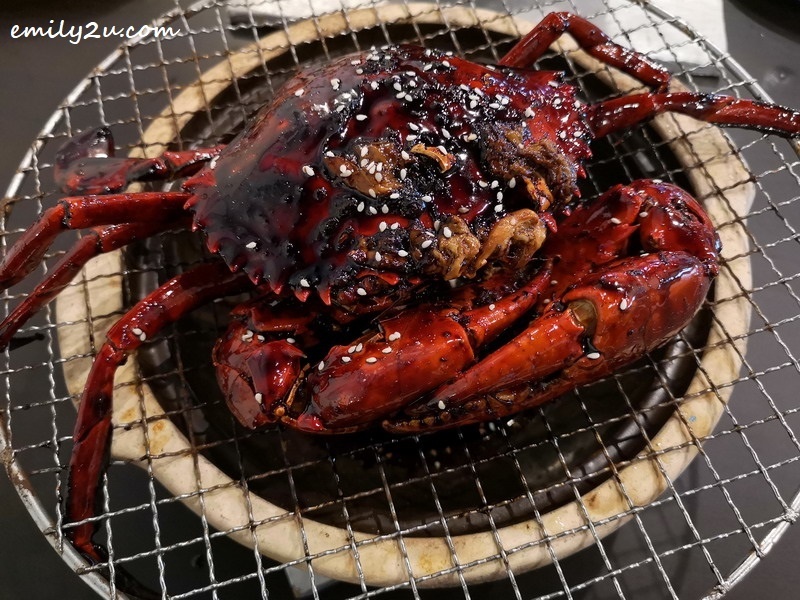 This Charcoal-Grilled Marmite Crab looks really hard on the outside but the flesh is maintained soft and juicy. The marmite flavour is also very strong and its aroma fills the restaurant. If you love marmite whether in your toast or as a dip, you should try this marmite crab. Even if you find marmite hard to swallow, you should definitely try this marmite crab. You will never think of marmite in its same gooey way. 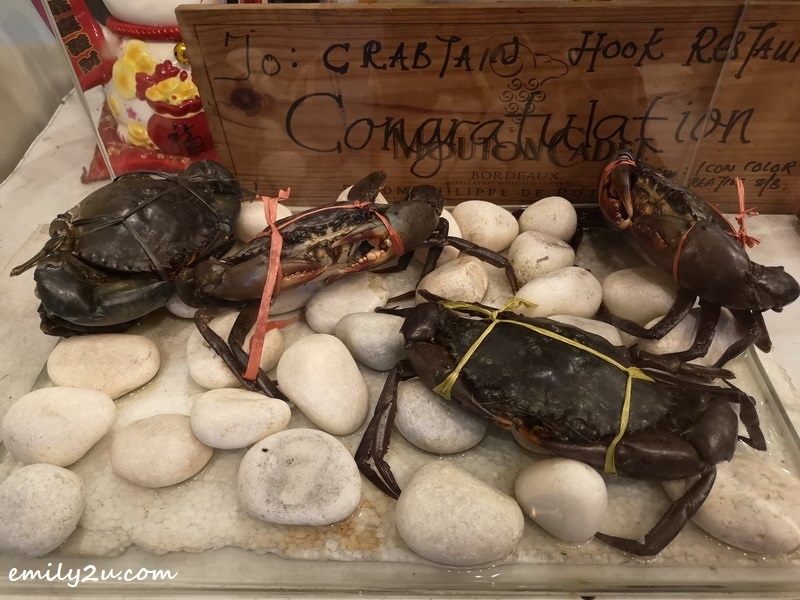 Eaten with steam man tou (plain buns), Salted Egg Crab is one of the seven crab preparations. Besides this and Charcoal-Grilled Marmite (above), the other five are Cheesy, Steamed, Claypot Porridge with Seafood, Salted Baked Crab and Spicy Crab with fried man tou. Salted egg dishes are the trend these days. 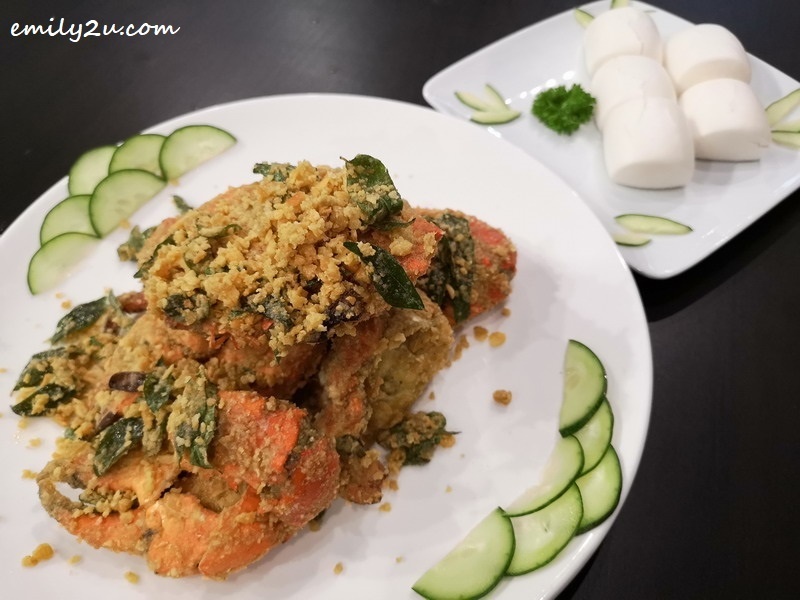 Therefore, it is not surprising that Salted Egg Crab is a popular item on the menu. How does it taste like? A little salty and does not overpower the taste of crab meat. 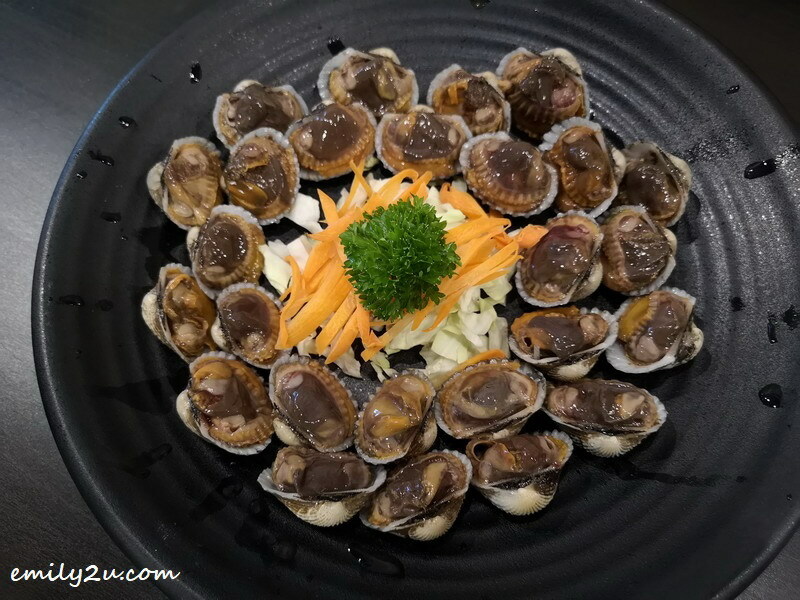 Do take note that fresh cockles are not listed on the menu. 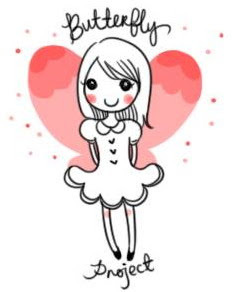 Request for it and if it’s available, you’re in luck! These fresh cockles are really hard to resist – as you can see, they are so juicy and bouncy. They can be eaten as they are, or with sauces. 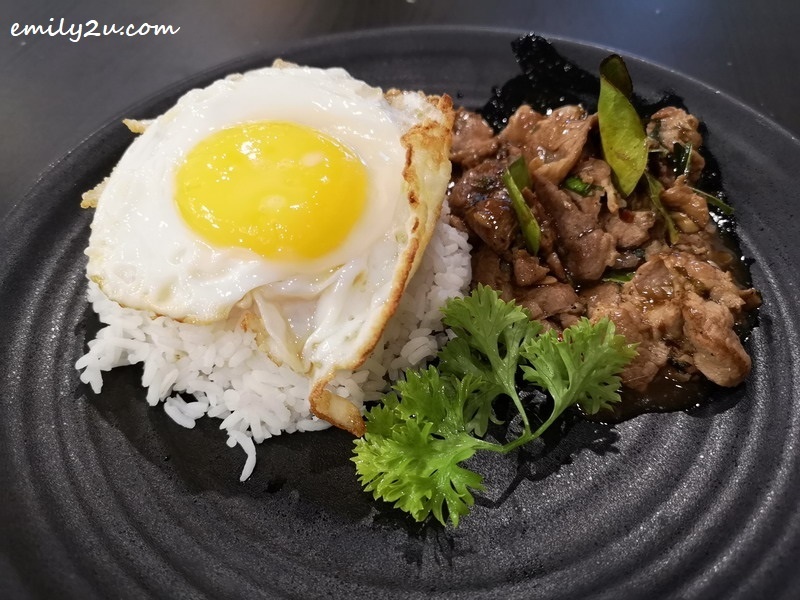 This rice set is not uncommon, except that the pork is prepared in a spicy, Thai style. The other option is chicken. 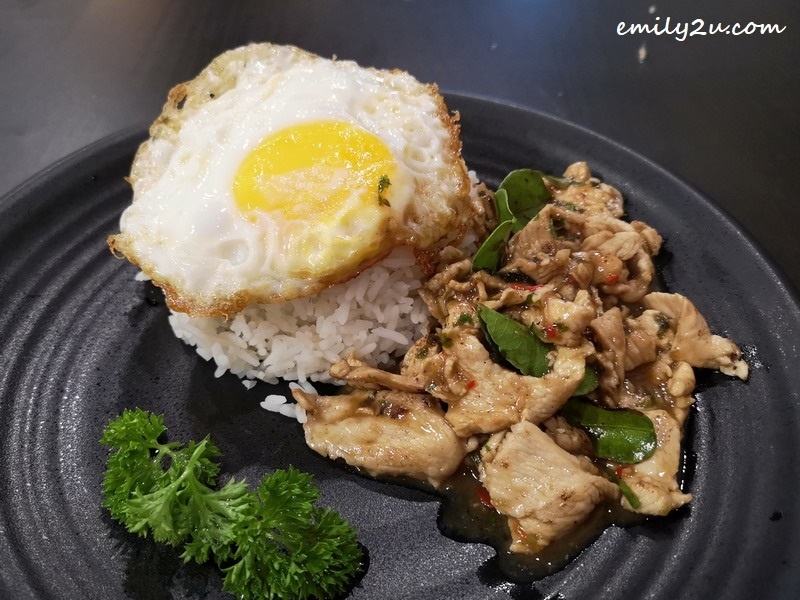 Tender, the rice is topped with a sunny-side-up egg, with its yolk still runny. 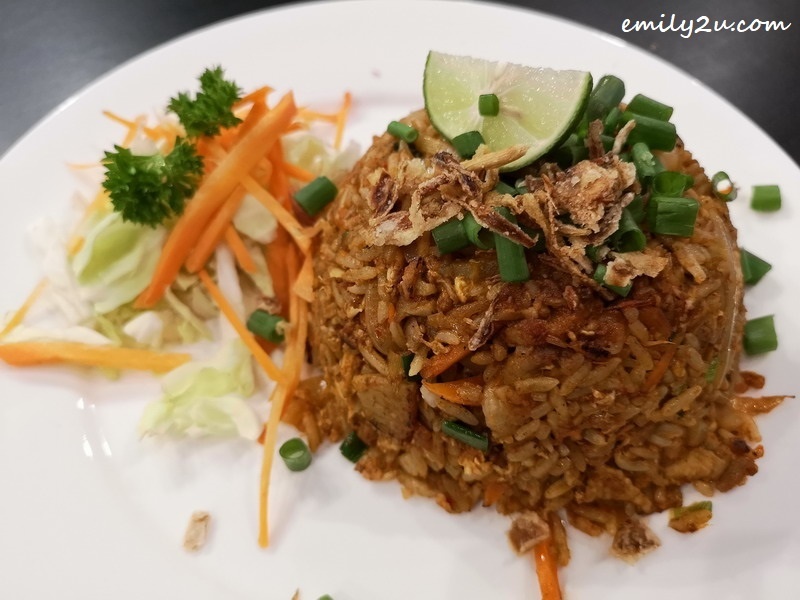 On the other hand, this Tomyam Fried Rice is slightly different. 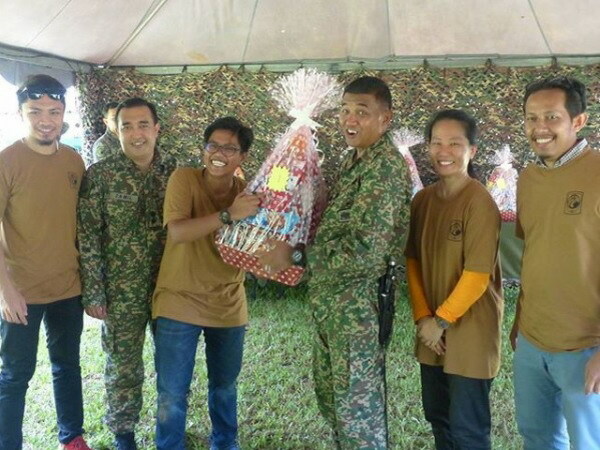 The rice tastes spicy, from its Tomyam flavour. Decorated with chopped spring onions and fried garlic, this plate of rice is so flavourful, it can be eaten on its own! Squeeze in the lime to jazz up the flavour. 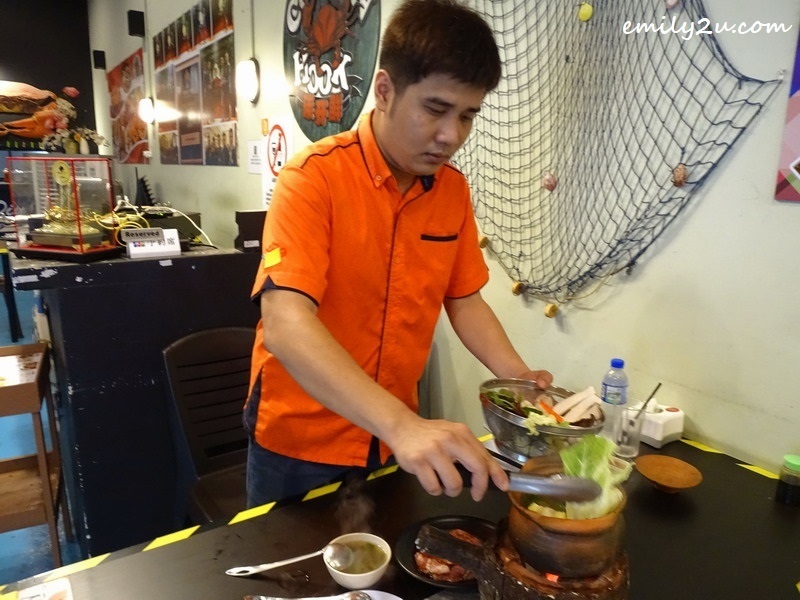 Jim Jom, as mentioned above, is also savoured with beer poured into the mini hot pot. This, of course, depends on the personal preference of diners. However, for those who prefer to keep the broth original, they can pair their meal with Snow Beer. Whether it is just finger food of Lap Moo Tod or one of the crab choices, one can spend an equally fulfilling evening at Soi 19@Crabtain Hook. 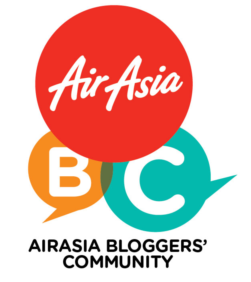 Add: Lot 15, Jalan Lapangan Symphony, Symphony Business Park, 31350 Ipoh, Perak. 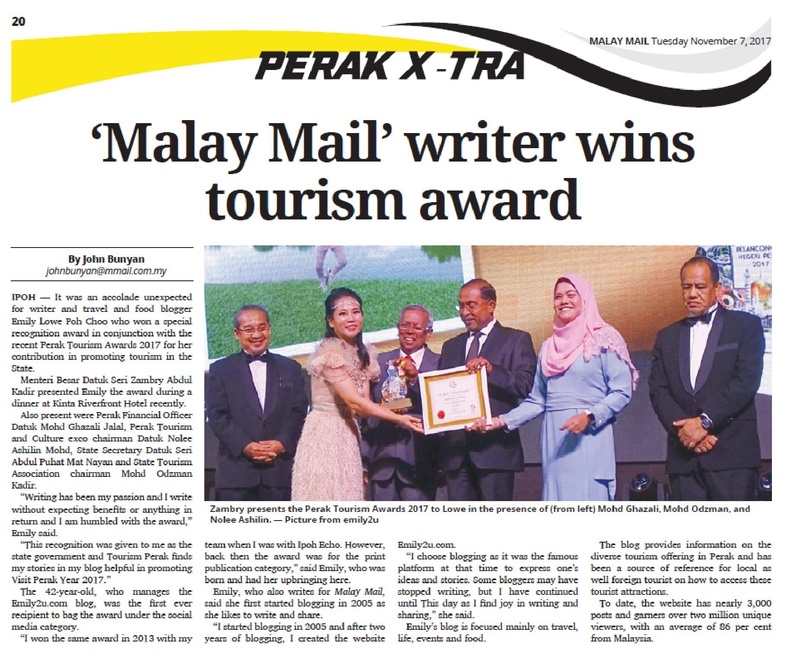 6 Responses for "Jim Jom In Ipoh @ Soi 19 At Crabtain HOOK"
Macam2 mknan best2 ada kt ipoh sekarang kan. Seronoklah orang2 terdekat dapat makan best2. Wow. That Charcoal-Grilled Marmite Crab really looks delicious. 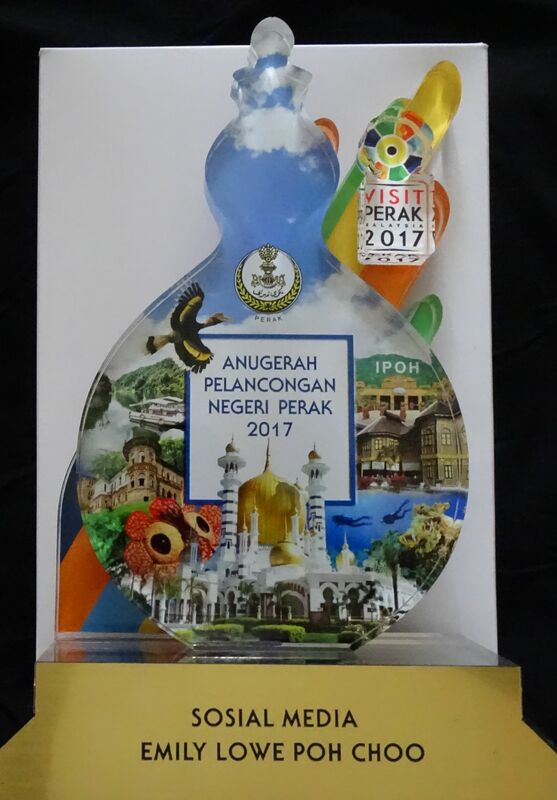 Ipoh has certainly come a very long way – now a lot of great delicacies can be found there too. I’ve never had jim jom before. Looks very inviting with the egg and pork. the prawns for the fried noodles were huge too. Dang I’m hungry right now. Will try to visit this restaurant one day. We look at the crabs very big and are also ready to burn again with the charcoal is the best of our holes. Our favorite Charcoal-Grilled Marmite Crab. My mouth is craving for more seafoods delights. This restaurant srems a huge hit! Wow, very unique dishes that i never heard before served here. Interesting!